Today we have a piece of news that is not anything groundbreaking but it might be the most interesting thing that a fan could read. If you are old enough to miss the old days or you are just a retro geek than you would be astonished to learn that Lenovo is indeed launching a retro version of the emblematic ThinkPad for its 25th anniversary. Lenovo inherited the ThinkPad lineup from IBM just 12 years ago which doesn’t seem too long ago but the brand itself has been around for as long as 25 years now. Over these 12 years, Lenovo has made some major changes to the iconic ThinkPad device. As anything new, the changes have their supporters and their opponents. 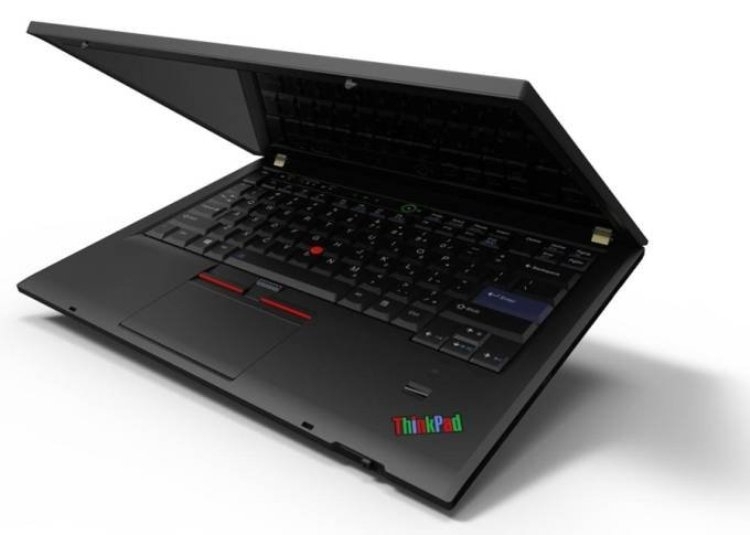 To celebrate the 25th anniversary, Lenovo has decided to bring back to life the original ThinkPad. The company will release a Retro ThinkPad which will be based on the T470 model. It will feature the old-style seven row QWERTY keyboard. The rubberized coating that many long for will also return. The rainbow-colored ThinkPad logo in the right corner of the open device is seen on the images. One interesting feature of the old ThinkPads is the 16:10 screen ratio which has been replaced by the 16:9 theatrical standard. So it will be rather strange to go back to the 16:10 ratio. There is no information about exact price or release date but Lenovo’s design chief Dave Hill said: “…I can assure you it will not cost $5,000!” back in June.